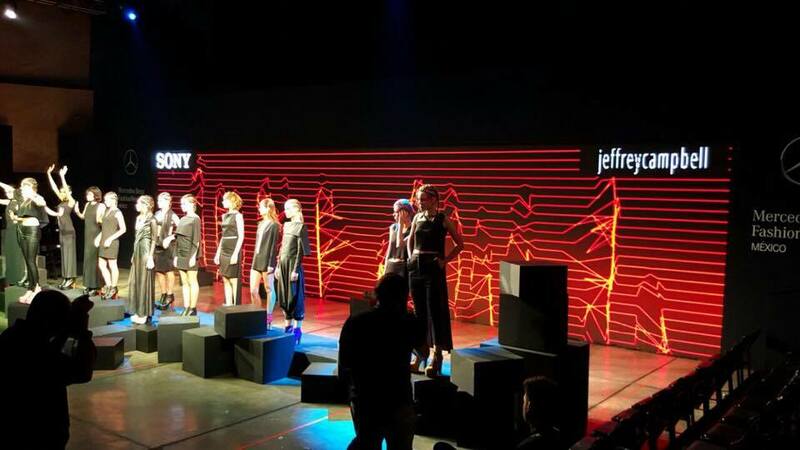 Sonybox was an interactive installation created for the launch of the colorful range of Sony headphones ‘h.ear’, in partnership with the legendary shoe designer Jeffrey Campbell, at Mercedes Benz Fashion Week México 2016. 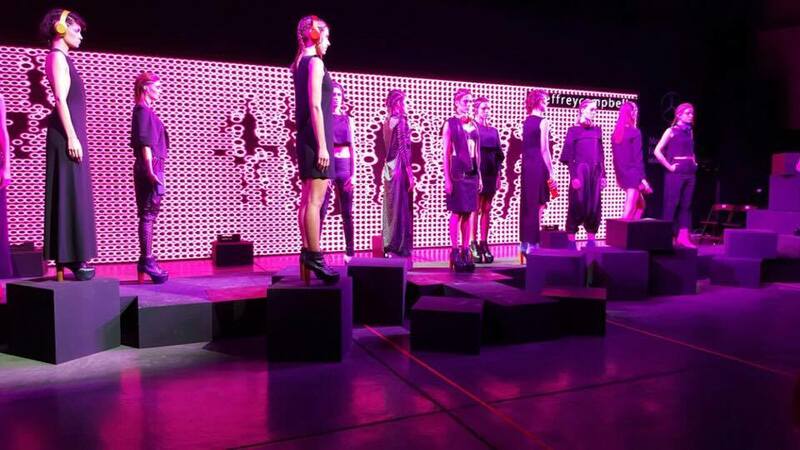 The installation involved a performance on the runway with futuristic overtones, where the stage became protagonist. 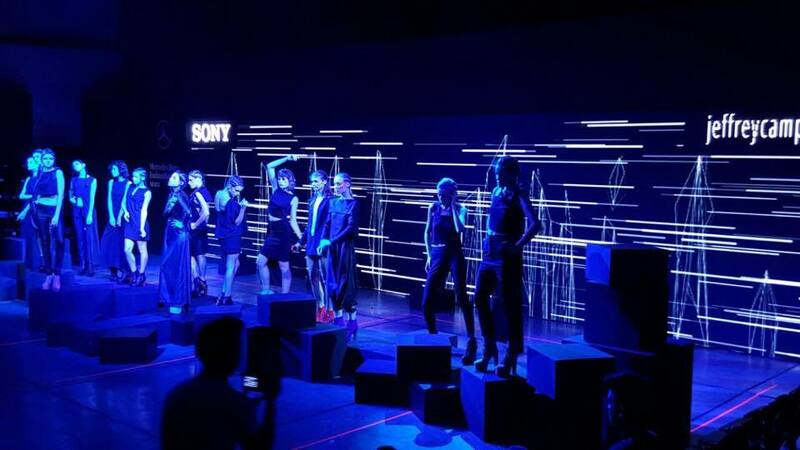 Graphics were displayed on an LED screen, which reacted to the movement provided by the models’ choreography, while custom music conducted the rhythm and mood of the presentation. To generate an immersive experience, we synchronized the surround sound with the visuals.